Many people headed for divorce court face a similar problem: joint custody vs. shared custody and how to decide which one is right. Get familiar with the terminology as well as what it all means before you and your spouse enter a courtroom. 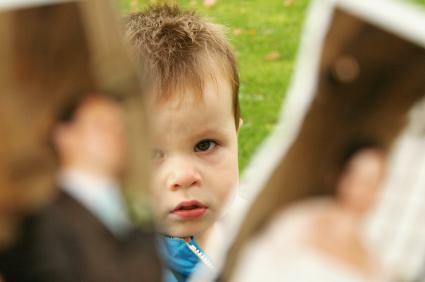 Custody decisions remain the most dreaded part of any divorce. Neither parent wants to give up access or rights to children nor do they fully trust someone other than themselves to provide the right care, especially in a tense or angry atmosphere. Do yourself a favor and set your personal feelings about your spouse aside and get on with the task of setting your children up for success. If you aren't sure how to complete such a monumental task, begin with getting an education about divorce in general and the parental rights associated with these two custody types. Many people, including judges (depending upon your area), believe that joint and shared custody are the same thing. However, even though they each have elements that resemble one another, there are important differences, with which you and your spouse should become familiar when you're ready to tackle the joint custody vs. shared custody issue. Shared Custody: Parents who choose shared custody enjoy the legal right to physically share the children from their marriage. Even though shared custody offers some flexibility based on each parent's lifestyle and other factors, it typically means that each parent shelters the children and provides for their daily needs for 50 percent of the time. Shared custody may or may not include an equal right to make important decisions for the children such as education, health care and religion, but in many cases, those decisions fall onto the shoulders of a single parent. If both parents do share decision making, they usually do so together and in a spirit of cooperation. Joint Custody: Parents who decide that joint custody is the right choice will share in every aspect of raising their children. The two must meet frequently in order to make their decisions together so a good relationship filled with care and understanding is crucial. This type of custody allows the parents to control the custody agreement but divorcing parents should realize ahead of time that neither parent can legally modify critical aspects of the children's lives. Both parents must reach mutually agreed upon decisions about education, health care and other areas that help shape who children become. If you want the short answer, they're both right. In nearly all divorce cases, it remains up to the parents to decide the best course of action in terms of custodianship. If they cannot reach an agreement, the judge presiding over their case may order divorce mediation to expedite things, but everyone involved in divorce court wants the parents to have the final say-so regarding the children's custody. Since both joint and shared custody more than adequately provide for the basic and extended needs of the children, parents must use other factors like the ones below to reach a decision. If one parent works out of the state or country for long periods, shared custody may be the best choice. If both parents plan to live, work and retire in the same general area, joint custody is an excellent choice. If one parent is chronically ill or injured, shared custody will take care of everyone's needs. If the children are in their teen years, joint custody will probably make the most sense. If one parent lacks stable income, shared parenting will solve many financial problems related to child care both presently and in the future. When it comes to the joint custody vs. shared custody battle, it remains a close tie. Both custody arrangements offer children security, parental nurturing and more than one stable environment. It's up to parents to use their personal lifestyles and future prospects to determine the final outcome.